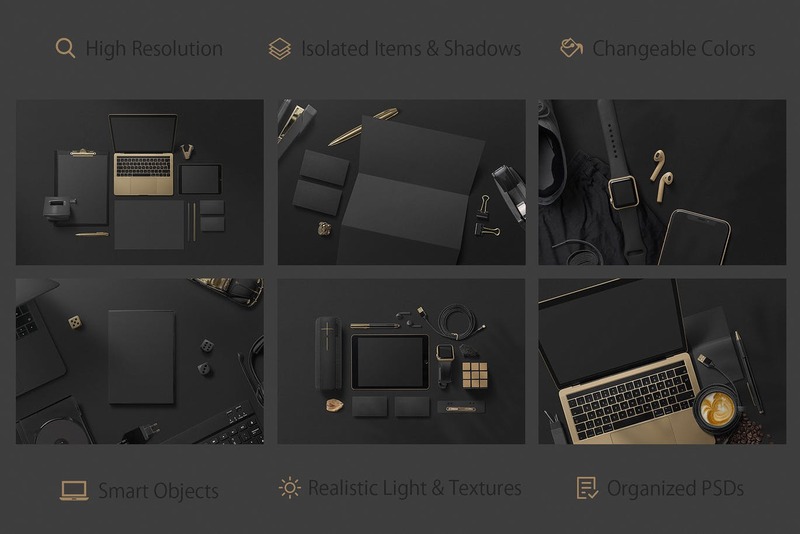 Make your branding project stand out with these sleek, dark toned mockups. Create unique presentations for your stationery, mobile design, web template, logo or other corporate designs. All items are movable and most of them are customizable in color. The files are high resolution, well structured and easy to use.